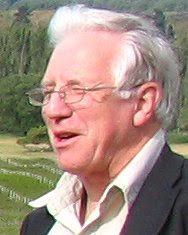 Of the thousands of wines submitted to the 2007 New Zealand Air Wine Awards competition, only three wineries entered Pinotage. 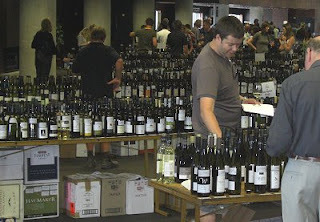 All the wines that had been entered were available for tasting on the day of the awards ceremony (tasting tables pictured above). The crowds clustered around the Gold medal winners table but I headed first for 'Alternative Red Varieties'. There among Montepulcianos, Malbecs, Chambourcins and a lonely rare Marzemino I found four Pinotages. Two of them had received Bronze awards, Karikari ‘05 and Okahu ’06 but I thought the two non-award winning entries from Pleasant Valley at least as deserving. This wine was rich maroon colour with a purple tinge, and had a smooth silky texture with blueberry flavours and acids on a finish which was a little hot. Beautiful bright black colour with great mouth feel. Crisp tannins with soft tannins on the finish. Bright black core with a purple rim. Soft attractive front leads to blackberry and black cherry flavours over some gentle tannins. It’s a bit tight now and I’d love to taste this wine after it opens up with another year in bottle. This is darker, more intense than the previous, with rounded soft fruity bramble berry flavours and a really good balance finished by integrated tannins and acids. I really like this wine and don’t understand its lack of a medal. I was intrigued to see what would be a ‘Cape Blend’ in South Africa and (since the name hasn’t been copyrighted) it could be called that in New Zealand. HiHi “Lock, Stock and Many Barrels” 2006 is a blend of 50% Cabernet Franc, 35% Pinotage and 15% Merlot. It has an attractively soft approachable front – maybe it is that characteristic Pinotage sweetness that has rounded out Cab Franc’s sometimes green edge. “Lock, Stock and Many Barrels” is an easy drinking wine with some bright fruit flavours balanced by enough tannins on the finish to allow aging. (No award). The annual Air New Zealand wine award competition, announced on Saturday 24 November, is the countries most prestigious. New Zealand has made Sauvignon Blanc its own and is close to claiming the Pinot Noir crown. Not satisfied with them, Pinot Gris and Riesling are also contenders. But the next major variety appears to be Syrah, and the 2007 Champion show wine was Trinity Hill ‘Homage’ Syrah 2006. (Pictured is John Hancock, CEO/Winemaker of Trinity Hill being escortedby grape angels to collect his award). And after Syrah? Italian varieties are increasingly being planted. Not just the major ones, but also relative unknowns such as Arneis and Marzemino. So why shouldn’t Pinotage – which was a major New Zealand variety in the 1970’s – have another crack at the cherry? Where California is just planting Pinotage, New Zealand already has vineyards of mature Pinotage and winemakers who really understand the variety. The 13th Annual Hermanus Round Table Pinotage Auction raised 75,000 Rand for charity. 10,000 Rand was earmarked for Christmas gifts for children in Zwelihle, the rest to be spent on local projects. The auction, held on Saturday 8 December at the Arabella Western Cape Hotel, auctioned 51 lots of Pinotages, some not commercially available, for a total of 90,000 Rand. New Zealand has been making Pinotage for forty years. The variety is not now as fashionable there is it once was, but there are some first rate Pinotages being made. Unfortunately, few are available outside New Zealand and it seems to me that they are not that widely marketed inside the country. I was able to taste many of New Zealand’s Pinotage when I visited there last month. My trip was thanks to being able to fill the place of someone who dropped out at the last minute of a wine-writer’s tour of New Zealand, but my welcome to New Zealand and the tasting was thanks to Sue Courtney. 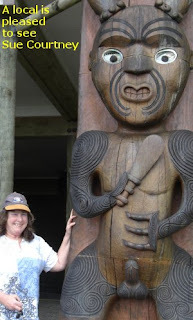 Sue Courtney is a wine-writer and wine-judge based near Auckland in New Zealand. She and I both started our websites in the early days of the public world-wide-web and over the past decade we have been in regular contact via email, and for more than a year I wrote a column on her site at www.wineoftheweek.com. As soon as I knew I was flying to Auckland with a couple of days to spare before the formal tour started I emailed Sue and suggested we meet. Little did I expect that Sue would cancel all plans for two days and give me a royal tour of the area, finishing with a mammoth Pinotage tasting. Unfortunately, although I travel a lot, I am increasingly finding jet-lag a problem. After a journey from London, via Singapore to Auckland of more than 24 hours door-to-door it seemed to me that while my body was in Auckland my brain was still in transit. So Sue had a Peter May who was unusually subdued and who kept dozing off like the Dormouse at the Mad-Hatters tea-party. It was a shame that the Pinotage tasting was in the evening as I was struggling to stay awake. Sue had assembled, thanks to many wineries that had sent samples, a veritable wall of Pinotage bottles. These were opened and presented blind in flights by Sue’s hubby Neil who uncomplainingly did all the donkey work of documentation. The first flight included four still rosés and two sparklers, one pink and one red. While pink wines have their place, I can’t say that place is close to my heart. The still roses were competent but they didn’t light my fire, the best being Matua Valley Northland Rose (Almost fluorescent pink, with a sweet front palate, tangy finish and nicely balanced.) The sparkling red from Soljans (Soljans Sienna Methode Traditionelle Rouge) had been bottle matured by Sue for four years. It was first released in 2002 and the base wines were from the 1998 vintage. As is the problem with sparkling red wines, it is difficult to see the bubbles rising and they were not prominent in the mouth. It was tangy with some tannins and a pleasing sweet finish. I thought it would have been better as a still wine because the bubbles distracted from what could have been a serious wine. I was fading fast and feared I wouldn’t be able to remain awake, so I cheered for the ‘real’ – meaning the still red Pinotages - when they appeared, forgetting that my every comment was likely to be documented by the reporter sitting opposite. Sue blogged that I said "I don't know why they bother," in reference to all the pinks. OK, I put my hands up. 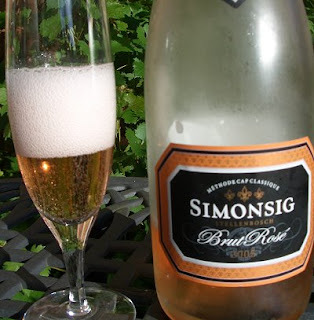 But I’d like it to be taken into consideration that I have spent much money on Simonsig’s sparkling pink Pinotage and drank and praised Delheim’s still pink stunner. We then were presented with two flights each of eleven red Pinotages. There was one ‘ringer’ among the New Zealanders; it was a South African wine from Beyers Truter that I’d brought with me. I was certain that it would stick out and thus I was sure that I would identify it. We scored the wines, and chose our favourites. In the first flight I rated the last wine highest. It had blue-red colour, a coffee nose and soft mouthfill, with juicy blueberry flavours, gentle acids, medium body and a good finish. This turned out to be the sole South African wine, a Beyers Truter Pinotage 2005 bottling for Tesco’s supermarket. This just pipped by half a point Lincoln Heritage Gisborne Pinotage 2004 (Spicy nose, light and tart with red currant fruits; really nice moreish sweet finish makes you want to drink another glass) and Marsden Estate Bay of Islands Pinotage 2004 (Coffee nose, well balanced, berry fruits, some mocha and refreshing acids on finish). Neil now brought back the ten top scoring wines from the three of us to re-taste and decide a winner. Sue, Neil and I re-tasted the wines and again scored them. Whilst the Beyers Truter South African wine had been my top scoring wine from the first flight, in the final showdown my highest scores went to Ascension 'The Parable' Matakana Pinotage 2006, with Soljans Gisborne Pinotage 2007 and Muddy Water 2006 a close, and equal, second. 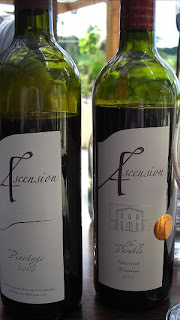 I am fascinated by the co-incidence that I had visited Ascension and enjoyed their 2006 the previous day, and had a (rather dismal) lunch at Soljans earlier the same day. Time was getting late. Sue proposed a final taste-off, but the only thing by now that I really wanted my lips to touch was a pillow back at my hotel. Muddy Water 2006 was the only wine that all three of us had included in our top three in the taste-off; it was Sue’s top wine and my second choice and so by mutual agreement we nominated Muddy Water 2006 as the winner. My overall view of the tasting was that there were a lot of very good wines, but also that that the reason that many did not get called back was because of high acidity. I like some acidity in wines - it makes them food friendly - but it has to be appropriate and balanced. Too many were not balanced. But it is not just Pinotage; in the following weeks in New Zealand I leveled the same criticism of excess acidity at too many Pinot Noirs. 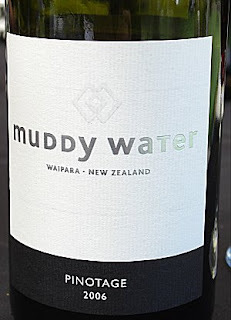 I also wondered whether Muddy Water’s success in the blind tasting was aided by its high alcohol level – the label says 15%. I know that high alcohol wines tend to show well in tastings where each wine has less than a minute to make a statement. But it did not make my top three in the first time round, so maybe it opened up with time. I was lucky enough to taste the same wine later in my trip. It was a lone Pinotage amongst a sea of Pinot Noirs and – wow – it tasted just magnificent. But that’s another post. The Pinotage Club is 10 years old. We went live on the web in December 1997. In retrospect it was an unfortunate choice of a name since, as later became clear, in the United States wine ‘clubs’ are commercial organisations selling wines by subscription. But we felt that our championship of this variety which seemed to have few friends in its own country and many enemies outside made us members of a select group. After three years of being a lone voice promoting Pinotage on the web, the official producers Pinotage Association launched an impressive web site at www.pinotage.co.za. The increasing wealth of detailed information on that professionally run site and the increasing overhead of maintaining the Pinotage Club’s GeoCities web-site led to the migration in 2006 to this blog format. Here news items of interest to Pinotage lovers could be quickly published. Our fourth newsletter, in 1998, quoted wine-writer Tom Stevenson who "felt all the fuss about Pinotage was a waste of time” and that “if it were a worthwhile grape it would be grown in abundance around the world but it still remains an exclusively South African wine." We agreed it is a valid observation that for the variety to be considered successful, it must surely be adopted by other countries. We soon found that Stevenson was wrong in saying it was exclusive to SA since Pinotage wine was being made in New Zealand where it had been grown since the 1960’s. And Zimbabwe’s two wineries both made Pinotage. Further spread of the variety had been halted by international sanctions against South Africa during apartheid years, although some cuttings had managed to travel in visitor’s suitcases. The Pinotage Club has since researched and tracked down Pinotage vineyards around the world. Over the past decade we broke news of Pinotage in three US states, two Canadian provinces, plus Israel and Brazil. And in a blind tasting of Pinotage from around the world held in the Cape in 2001 local winemakers in the Cape were stunned when Babich Winemaker’s Reserve 1999 Pinotage from New Zealand was revealed as the favourite. And if Pinotage no longer “remains an exclusively South African wine," what of South African Pinotage? There is no doubt that there is better Pinotage now being made in the Cape. Much of the thanks for this must go to The Pinotage Association for its research into factors affecting growing and vinifying Pinotage. But enthusiastic winemakers who have treated the variety seriously played a major part, and brands such a Stormhoek have done a great service in introducing easy-drinking fruit-led Pinotages to new drinkers and there is a generation of wine drinkers for whom Pinotage is just another variety, without any of the negative connections felt by many older drinkers. It is interesting to see how versatile Pinotage is; pink Pinotages assuaged the recent increase in popularity for rosé wines. Co-fermentation with Viognier was pioneered by Fairview, Laborie Estate brought out dessert Pinotage fortified with Pinotage brandy, Sylvanvale released an Amarone style wine made from grape bunches dried on the vine, Graham Beck made the first Methode Champenoise red Pinotage and Simonsig had great success with their Methode Champenoise pink Pinotage. Diemersfontein created a cult with their coffee and chocolate Pinotage and Stormhoek and Froze created pinks meant to be served over ice. Year after year more wineries compete in the annual Pinotage Top 10 Competition. Kanonkop and L’Avenir Estates currently hold the record for the most wins, with seven each, but every year more new names gain the coveted trophy and the quality barrier keeps being lifted. This year the Pinotage Association opened the competition to international entries. When we started the Pinotage Club, it seemed possible that the variety could vanish. Now the future seems bright. 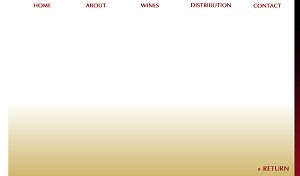 1997 – Pinotage Club formed, website goes live December. - First Pinotage Top 10 Competition held; there were 34 entries. 1998 – Pinotage Club described as 'Passionate about Pinotage' by the South African newspaper The Dispatch. 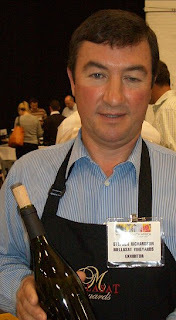 1999 – First sparkling red Pinotage made by Graham Beck. 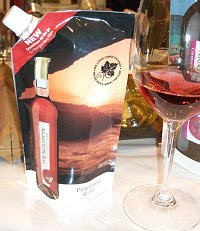 - Newsletter publishes several Pinotage recipes, including Warwick Estates Pinotage Ice-Cream. 2000 – Severe fires in the Cape hit several vineyards. - Warwick releases Three Cape Ladies Cape Blend an “intrinsic Cape statement of a trio of varietals which together express the Capeness of South African red wine”. 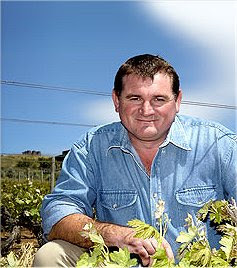 - New Zealand doubles Pinotage production. 2001 – Pinotage confirmed in Brazil and Virginia. - International Pinotage blind tasting held in the Cape with four SA wines and 6 from New Zealand, California, Brazil and Zimbabwe. NZ wins. 2002 – Pinotage Club presents five Pinotage tastings in London and Glasgow - 2000 & 2001 Pinotage Top 10, Kanonkop vertical, International Pinotage and ‘Back to Back’ - Pinotages from cousins Michael (Backsberg) Back & Charles (Fairview/Spice Route) Back. 2003 – More Pinotage tastings in Cape Town (with WineCellar) and London. - Pinotage planted in India. - Pinotage Club guest hosts a Pinotage 101 at www.wldg.com. - Descriptions for Pinotage Aroma wheel requested. - Wilderer’s Distillery makes Pinotage Grappa. - Pinotage discovered in New York State. 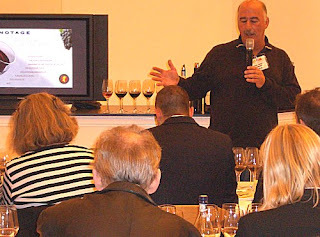 - Pinotage Club trains staff at London’s Vinopolis wine experience with a tasting of different Pinotage styles. 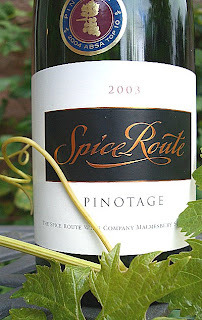 2004 – Pinotage Club held Pinotage Top 10 from 2002 tasting in London. - Bellevue Estate held a 50th birthday party for their Pinotage vineyards. Pinotage planted in Ontario. - Barkan Winery invites critics to a tasting where they unveil Israel’s first Pinotage. - Delheim co-operate with a Canadian winemaker to make a pink Pinotage. - SA WINE magazine drops its annual Pinotage Champion competition. - Kaapzicht Steytler Vision 2001, containing 40% Pinotage, wins International Trophy for the Best Red Blend in the 2004 International Wine and Spirit Competition (IWSC). - Pinotage aroma wheel released, designed by Dr Johann Marais for the Pinotage Association. 2005 - 'California Wine and Food Magazine' reports local Pinotage is "clearly superior" after tasting 12 California Pinotages from 10 wineries along with 7 from South Africa and 3 from New Zealand. 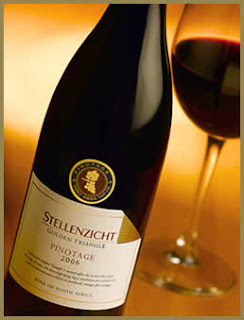 2006 – Stables release the first South African Pinotage from outside the Cape ; it comes from the new KwaZulu-Natal Wine of Origin region. - Pinotage Club moves website to a blog format. First entry shows Pinotage Club’s Peter May harvesting Ontario’s first Pinotage vintage. 2007 – Beyerskloof produce a million bottles of their standard Pinotage, open new restaurant and wine tasting cellar, and toast it with their new sparkling pink Pinotage. Elie has a refreshingly positive take on Pinotage and the full article, which is online here , is well worth reading. 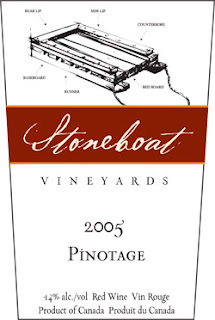 Stoneboat Vineyards in Canada's Okanagan Valley has five acres of Pinotage, some of which were planted several years ago along with some newer three year old vines and their first varietal Pinotage, from the 2005 vintage, is currently on sale. Owner Lanny Martiniuk tells me that "the reception to the varietal has been overwhelmingly positive, despite the fact that most people are unfamiliar with it. Once they try it, we find that people quite like it; it was our best-seller in the wine shop this summer. Our 2006 is close to being in bottle. We are in the midst of blending this vintage, and will likely release it in the new year. We're very pleased with how it is turning out. The 2007 vintage looks very promising, we're really happy with the fruit and how it is evolving in barrel. There was a somewhat smaller crop this year because of a long period of cold (-25) in the winter; flavours were nicely developed and concentrated in the berries as a result. We are determined to improve upon the wine each vintage, and we still have much to learn from it, especially since our climate and growing techniques differ so much from those in South Africa." Lanny first encountered Pinotage when Lake Breeze Vineyards -- who were the first vineyard to plant Pinotage in Canada, asked him to propagate some vines for them from South African cuttings. Lanny says "The varietal sounded interesting, so I retained a plant for myself and watched it grow for a few years, during which time we sampled various South African Pinotages and liked their flavours. The hardiness of the plant was appealing also and we were very happy with the fruit it produced, so we decided to plant more of it. I tissue cultured the one plant that we had and grew more from that." Lanny says "We believe Pinotage has great potential in the Okanagan, and we really enjoy it both as a vine and as a wine." The winery's unusual name refers to the flat sledge, pictured on their label, used for carrying stones. A stoneboat was originally used to clear their Home Vineyard of its abundant river rocks, and the name is a tribute to the original caretakers of the Home Vineyard, who had to clear the land of its rocks in order to cultivate it and represents the valued qualities of hard work and tradition. Julie and Lanny Martiniuk started farming in 1979 with purchase of a 15-acre orchard which they have now expanded to nearly 50 acres in which they have three vineyards growing a number of varieties. They produce under their own label Pinots Noir, Blanc, and Gris varietals plus two blends, as well as Pinotage. 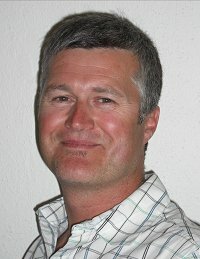 Lanny sat sat on the British Columbia Grape Marketing Board for several years and was a founding member of the BC Wine Institute. Lanny also runs a grapevine propagation business, which has produced hundreds of thousands of vines for wineries and vineyards across BC. Lammershoek did well at the 21st Annual Ottawa Wine and Food Show this year taking half of the eight medals awarded to South African wines, including a Gold Medal for their 2005 Pinotage, the third year running Lammershoek Pinotage won a Gold. They have just released their 2006 Pinotage which they say is an "excellent expression of the Paardeberg terroir. It is a wine from a young vineyard and therefore the berry-like character is dominant with mild oak tones, a deep plum colour and remarkable body. This bush vine vineyard is west facing and receives sun all day. It yields approximately 6 tons from 3350 vines per hectare. The vineyard lies on a deep, well drained soil called “Cartref”. This specific soil formation is thought of as “poor” – its low water retention is perfect for the early ripening Pinotage grapes. The grapes are hand picked at full ripeness, cooled to 2 ºC for 24 hours and then hand selected, destemmed and crushed. Cold maceration follows for up to 72 hours in open top concrete fermenters. Fermentation takes place under controlled temperature conditions with no undesirable post-alcoholic extraction. The mash is pressed and the wine, after settling, transferred to a concrete tank for malolactic fermentation. Once completed, the wine is biologically stabilised, racked to 255 litre new (20%), 2nd and 3rd fill French oak barrels for 12 months maturation. The wine is racked 2-3 times in that period and bottled without fining or filtration." Lammershoek recommending serving their Pinotage at around 16 ºC and they say that the 2006 vintage will age comfortably over the next 5 to 8 years. Wine maturing in oak barrels is a familiar sight. But did you ever question why bungs closing those barrels are made of plastic, not cork? Dennis Burns did so when he toured a California winery. He was told natural cork could impart a taint that ruined wine, which satisfied him until he reached the tasting room and saw corks being pulled from bottles. If plastic was better than cork in barrels, he thought, surely it would be a better closure in wine bottles? Burns’s business was plastics and, although he knew little about wine, he was about to shake-up the industry when he went on to produce SupremeCorq, a plastic alternative to traditional natural corks. Cork is a miraculous material. It is the bark of a species of Mediterranean oak tree. Cork bark can be stripped without harm from the living tree every ten years or so for generations. Cork will withstand both extremely high and extremely low temperatures and insulates against both; it absorbs vibration, can be squashed in half and will resume its shape, it can be pushed on one side without bulging out the other. And it has been used as a closure for wine bottles for more than 400 years. But, as everyone who drinks wine knows, it has one major fault, and a wine with that fault bears its name – the wine is ‘corked’. If around 5% of all soft-drinks, or canned soups, or any other product were unusable because of faulty packaging it is unlikely their producer would remain in business. But wine-lovers expect, and have been expected, to bear the disappointment of spoiled bottles. Cork had no viable competition until recently when the cork industry began to be shaken out of centuries-old complacency by alternatives such as glass, plastic and screw-cap closures. 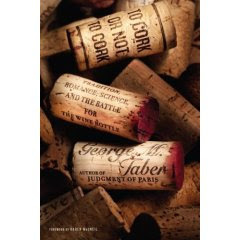 George M Taber tells in To Cork or Not To Cork the truly fascinating story of wine, cork and alternatives. This is no dry, dusty history; Taber relates the very human tales of people whose living is intimately bound up in wine closures. Of wineries that lost millions and almost went out of business because of contaminated corks and of cork producers whose livelihood is threatened by alternatives. And of the inventors and entrepreneurs who think they have found a solution. In many ways this book is a detective story. There is a villain that has been there since the beginning (a 1676 book blamed spoiled wine on cork defects), but its true identity was only unmasked as TCA by Hans Tanner in 1981, and it took years for his research to be widely known. TCA is a compound so powerful that if it was salt then just two grains in swimming-pool would make the water taste salty. The book relates techniques used to combat the villain and of skulduggery as proponents of various closures trade propaganda and insults. But there is no neat ending. The cork industry has cleaned up its act and invented ‘technical’ corks such as DIAM that promise taint-free cork closures. But modern screw-caps now close 95% of all New Zealand wines and since the vast majority of wines are consumed within days of purchase the question of which closure is best for aging wine is academic for most. Taber tells this detective tale through the people involved. I was completely gripped by this book. You don’t have to know about wine to get involved by the personalities whose successes and failures Taber relates. Soda and mineral water drinkers might be bemused – their beverage will be perfect every time and they don’t care whether it comes in a can or glass or plastic bottle, and even served in the most expensive restaurant the bottle will have a screw-cap. But many wine drinkers expect the romance of a cork. Whether cork will be romantic for another 400 years is questionable. For me, the ‘crack’ of a screw-cap seal being broken with its promise of a taint-free wine is enough. Whatever your position, To Cork or Not To Cork: Tradition, Romance, Science, and the Battle for the Wine Bottle brings the debate right up to date, backed by facts and figures and quotes from the participants. My only niggle with the book is that, although Taber travels the world and has an international perspective, every now and again the reader is abruptly brought up by Americanisms such as expecting to know when Thanksgiving is and phrases such as “in the entire world the thwack of a perfectly pitched baseball hitting a perfectly swung bat” brings “joy to all but the most jaded”. However, even the most jaded wine lover will enjoy and learn from this well written, easy reading yarn about that essential but disposable closure that must be removed before we can enjoy our favourite drink. If you’re thinking of a present for a wine-lover, this book will not disappoint. Dave Hughes has been awarded Honorary Membership of the Pinotage Association. 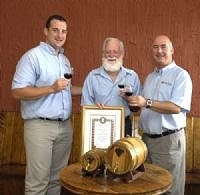 Beyers Truter, Chairman of the Pinotage Association, handed the honorary membership certificate to Dave and called him South Africa's best wine friend. 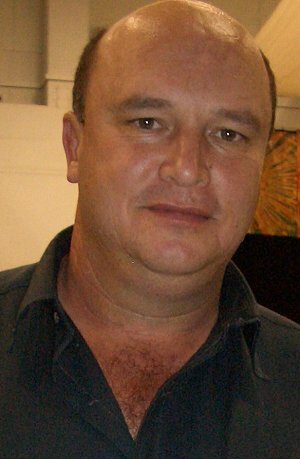 Dave's career includes distiller, winemaker, wine auctioneer, international wine and spirit judge, writer on drink and allied subjects, consultant to Nederburg Annual Wine Auction, Veritas Wine Awards, South African Airways Wine Selections and the International Wine and Spirit Competition. One of the first times he showed Pinotage overseas, was in September 1976, for a Wines and Vines magazine tasting in San Francisco. One of his first overseas presentations of a range of only Pinotage wines was at the Wine Educators Conference in Santa Rosa California in 1981, where he presented eight different Pinotage wines to an audience who had never heard of the grape. According to Dave it was difficult to promote South African wines in those days because of international sanctions, due to our politics. In 1985 he was barred from talking at the Roseworthy Campus in Australia, because a few students objected to the presence of a "racialist South African". The tasting was held in Wolf Blass cellars and instead of 30 odd students, there was a crowd of about 100 students, winemakers and consumers. My congratulations to Dave; may your socks never match! Pictured above, left to right, are are De Wet Viljoen (Chairman of the Absa Top 10 Pinotage organising committee), Dave Hughes and Beyers Truter (Chairman of the Pinotage Association). DeWald Louw (pictured right) tells me that the first time, some years ago, that I reviewed his wine I remarked only that it was fault-free. I don’t remember the occasion but let me state right away that the current 2005 vintage is also ‘fault free’. This wine has a perfumed fruity nose, and also some warmth on the finish from the 15% alcohol. However the alcohol doesn’t show in the taste which offers sweet berry and fruits-of-the-forest flavours. The wine is bright with a good balancing crisp acidity. 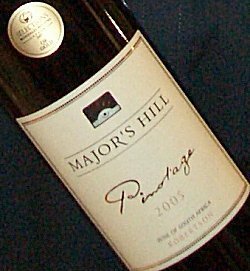 I really enjoyed Major’s Hill 2005 and look forward to opening future bottles. Four Pinotage vines survived 30 years untended in the vineyard of an abandoned agricultural research station in the Earnscleugh Valley near Alexander, New Zealand. Jeff Sinnott (pictured left), winemaker for Amisfield Wine Company, told me this fascinating story. The vines received no irrigation, sprays, pruning, or any attention at all for more than thirty years in an area where frosts are severe and winter temperatures drop below minus 7˚C while summers regularly experience drought. Just seven living vines were discovered five years ago in the research vineyard, thirty years after it closed. Three were Chenin Blanc and four were Pinotage and it is thought they were planted in the 1950’s. Unfortunately the Pinotage vines were virused but cuttings from them were taken to Gisborne where they have been propagated and grown as virus-free vines. In a recent letter to UK trade magazine “Harpers”, Nigel Logan asked for an explanation for the underlying aromas of plastic, hung game, and Elastoplast that are frequently said to be characteristic of Pinotage, but which Nigel said he found on many South African red wines. Master of Wine Igor Ryjenkov from Toronto replied, blaming it on a robust and “particularly resistant strain of Brettanomyces”, which he was told by Bruce Jack of Flagstone winery at a question-and-answer session in Canada in 2004. This strain of yeast, writes Igor, “is present in the majority of South African vineyards as a part of the ambient yeast cocktail. While usually preferring much less sugar-rich mediums, in South Africa it goes to work right after harvest, wherever there is any juice present. It is much more sulphur-tolerant, and is even active at the pH levels believed to be sufficient to stave off the Brett activity. Northern Cyprus joins the family of places growing Pinotage. Chateau St Hilarion recently planted 100 vines in a trial of the variety’s suitabilty. 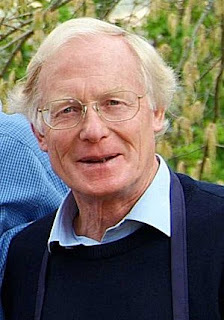 Chateau St Hilarion winery, in Northern Cyprus, is advised by international consultant Keith Grainger (picture right) . Keith tells me that Pinotage’s ability to ripen early before the scorching temperatures of late summer was a factor in choosing Pinotage, which he thinks could be a promising variety for the Mediterranean island. 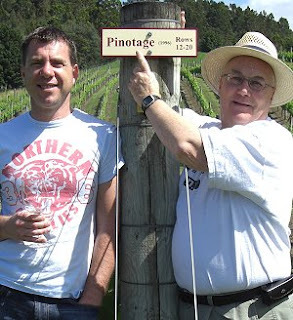 I feel I already know Jaison Kerr (pictured right) when I see him standing waiting for Sue Courtney’s shocking yellow roadster to growl to a halt at Kerr Farm vineyard, but I have only met him via his blog where he has chronicled the life of his Pinotage vineyard. Sue and I have come from lunch at a rather pretentious café at Soljan Vineyards and I’m keen to view Jaison’s vines, the stars of his blog. But first Jaison seats us in his garden by a brick pizza oven under a corrugated iron roof that loudly spangs as it expands and contracts when passing clouds block the bright sun. From the heat of the wood oven he slides out baked stuffed peppers on toasted ciabiatta. Tiny slivers of chile give a zing to the stuffing mix of cherry tomatoes, olives and capers and they are so deliciously fresh and flavoursome I wolf mine down, wishing that the executive chef and his brigade of cooks responsible for pre-assembled sandwiches, pre-cooked and frozen ingredients offered at lunchtime was here to taste some real food. “It’s a Jamie Oliver recipe I saw on his TV programme last week,” Jaison modestly says. Jaison drives us through vine rows to the old vineyard. 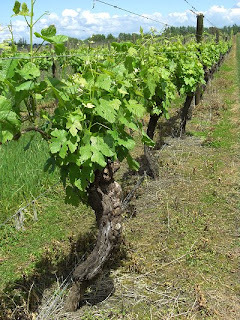 Pinotage was planted here in 1969 and, at 38 years, these are probably the oldest Pinotage vines in New Zealand*. But they are in poor health, finally succumbing to attack by ‘Lemon Tree Borer’, a moth pest whose tiny holes can be seen in the trunks of these venerable vines whose new leaf growth has withered yellowed leaves. “I’ll soon have to pull them up,” Jaison tells me. Jaison bought the property in 1989, and moved the 1910 wooden farmhouse there on a trailer. The first vintage from Kerr Farm was in 1995; previously the grapes were sold to other wineries. The wines are made by Shane Cox at his winery. There’s a purple rim. The wine is light-bodied with redcurrant flavours; it is well balanced with a little acidity on a good finish. With its dull browning-red colour this wine looks considerably older than just a year more from the preceding P04, and it tastes old with some funky tones. It is mature and losing its fruit. Jaison tells me that it is sold out at the farm. If you have any left in your cellar I’d suggest it is now time to drink up. Jaison is a fan of Pinotage. “It has thick skins, proof against humid conditions,” he tells me. 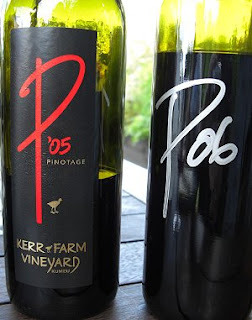 “Kerr Farm has built a reputation for Pinotage, and we are building up its reputation in this area. 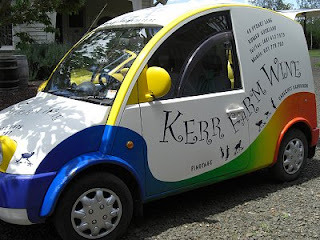 Kerr Farm also produces a racy crisp Sauvignon Blanc and a barrel fermented, barrel aged Chardonnay. If you are in the Auckland area, don’t pass through without visiting. *If you know of older Pinotage vines in New Zealand please contact me. I arrived just before midnight, fourteen hours previously after a door to door journey of 29½ hours, most of which was on an aeroplane. I’m with Sue Courtney, publisher of http://www.wineoftheweek.com/ and wine and food writer for the Rodney Times newspaper, and we’re dining at the Oak Grill restaurant of Ascension Vineyard which Sue is reviewing for her paper. The newly themed restaurant aims to bring the vineyard into the kitchen by grilling food over wine soaked oak chips cut from old wine barrels, and the mouthwatering smell of charcoal barbequed meats is in the air as we climb out of Sue’s bright yellow MGTF convertible. Each dish has a recommended wine, and by co-incidence our choices each suggest Ascension’s ‘The Parable’ Pinotage. Sue has gone for grilled lamb steaks in Moroccan spices, I’ve picked a lighter choice of wild hare pie. The sun is bright, it’s war, the sky is clear blue, I’m lunching in a winery restaurant and there’s a glass of Pinotage in my hand. It doesn’t get much better. A youngish man has been clearing tables of dirty plates; he’s not in the waiters’ black uniform but wearing a t-shirt and jeans and I assume he’s been brought in to help out as the restaurant is packed on this lovely Saturday. But when we’ve finished our meal he comes over, holding a bottle, and greets us. It is the winery owner, Darryl Soljan and he’s brought a bottle of the 2000 Pinotage, which was the very first wine released by Ascension and made from the Pinotage vineyard which they planted in 1996. Pale red colour that is browning. Light bodied, soft cherry flavours reminiscent of an old Pinot Noir, but with a sweetness on the finish. Very attractive, soft gentle wine. The characteristic Pinotage sweetness makes this wine, but it is probably passed it’s peak and should be enjoyed soon. 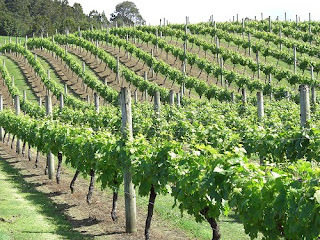 Ascension Vineyard is in the Matakana wine region, a short drive north of Auckland. “I think I’m creating a tradition that is going to have to be maintained,” grinned the affable Guy Webber after his Stellenzicht Golden Triangle Pinotage 2006 made it into the ABSA Top 10. This is the fourth selection for Stellenzicht, and Guy’s personal sixth triumph in this competition, so it’s no doubt that the pressure is up to keep on winning. New Zealand - Here I Come! I am thrilled that tomorrow morning I will be travelling to New Zealand for a tour of winelands and wineries with the Circle of Wine Writers, kindly organised by the New Zealand Winegrowers. New Zealand has the largest Pinotage plantings outside South Africa; the pity is that so few NZ Pinotages are exported. Most of the few NZ Pinotages that I have tasted have been good -- indeed it was Babich's Winemaker's Reserve Pinotage which came top in the international Pinotage tasting we held some year ago in Cape Town. I am delighetd that this coming weekend I will at long last meet Sue Courtney, publisher of www.wineoftheweek.com who has been a good friend of the Pinotage Club for many years and Sue has generously has organised some visits to Pinotage wineries near Auckland and a tasting of NZ Pinotages. I will be blogging when possible while I am in NZ and normal service should be resumed in December after I return home, via a stopover in Singapore. The results of the Pinotage Top 10 Competition were announced today at the award ceremony. Judges' notes: "Ripe plum nose with vanilla and spice. Rich, succulent mouth with layers of berry flavour". Judges' notes: "Warm spices, hints of mint. Firm yet fine grained tannins". Judges' notes: "Black cherries and milk chocolate Very well structured tannins balancing acidity". Piekenierskloof Wine of Origin and first-time Top 10 winner. Judges' notes: "Brambles with a hint of grapefruit. Fresh acidity, lively expression on the palate". Paarl Wine of Origin and first-time Top 10 winner. Judges' notes: "Ripe plum, chocolate, mint and cherry on the nose with a hint of vanilla. Sweet fruited mouth". Judges' notes: "Ripe full ripe plum and cherry on the nose with same flavours in the mouth". Judges' notes: "Aromas leap from the glass! Rich, full fruit with chocolate and cherry. Supple tannins". Judges' notes: "Ripe black fruit with minty notes. Delicate yet firm tannins with balanced acidity"
Judges' notes: "Ripe plum nose with cherry and vanilla. Big and full in the mouth with great oak support". Judges' notes: "Rich, ripe plum, full fruited, well rounded mouth with developing complexity". It is good to see new wineries win for the first time, but sad not to see some old friends. What it shows is that the Pinotage bar keeps being raised, and any winery that doesn't enter because they they don't stand a chance against the Pinotage establishment should make definite plans to compete in 2008. I cannot wait to taste them all. "Our 2006 Pinotage has just reached the market. I am often asked by overseas visitors why it tends to be so different from the Pinotage they tasted in other areas, claiming it reminds them more of Pinot noir than the typical Pinotage they have come across. This Pinot noir character is something I’ve only found in cool climate areas such as ours. I believe Pinotage must be made with "soft hands" to preserve its lovely fruitiness and without extracting too much hard tannin. I have often at winemakers' dinners combined chilled Pinotage with a fruity or even chocolate dessert and always enjoy the stunned looks on guests' faces when they confess that "it works"! Do try chilled Pinotage this summer and I bet you'll be surprised. I often point out to people that we tend to drink our whites too cold and our reds too warm. The tradition of serving reds at room temperature applies to European room temperature and not that in the Upington station café on the brink of the Kalahari Desert in midsummer on a Sunday afternoon. " It is well worth signing up for Martin's newsletter -- he is a good writer with firm opinions and always has something of interest to say. Picture of Martin Moore was taken from the Durbanville Hills website and is copyright (c) Distell Group Ltd and is used in accordance with their terms and conditions. This advert for Beyerskloof Pinotage apeared in the UK national newspaper The Guardian yesterday. -- The bottle pictured is the 2006 vintage with a screw-cap. The screwcapped bottles are available only in Tesco's; other supermarkets and high street chains have cork closures. So where does that leave the 'Beyers Truter' branded Pinotage stocked by Tesco at £2 more a bottle ? -- Just South Africa, Beyers? Not the worlds greatest???? "You tell us" the advert invites, pointing to a revamped Beyerskloof website homepage. Maybe it is deliberate and they're trying to suggest that "there's no more to say", but the Beyerskloof website has a long, sorry history of links not working and pages missing: it is a mystery why this major winery still can't get the basics of its web-site right. Beyers told me some months ago that he intended blogging on the site, and now you can click on a 'Talk to Us' button to send your comments to 'Beyers Blogosphere' on a blog there. As of Sunday morning, the only entries are promotional puffs from someone calling themselves 'RedLeaf' . Abé Beukes is the cellar-master at Darling Cellars and I remember visiting him there some years ago when their top range Onyx brand was first produced. 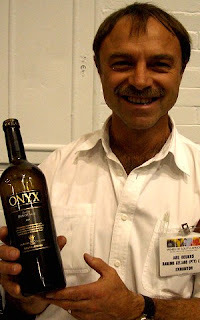 Now Onyx has a track record and earned a reputation so I was pleased when Abé offered to pour me a taste of the newly released 2004 vintage Onyx Pinotage. Abé told me it comes from low yielding (3 tons a hectare) 35 year old vines in Darling and spent 15 months in 100% new French and Hungarian oak barrels. It has14.5% abv. In the glass the colour was a dull, brooding dark black with a red rim and the bouquet was sweet. On the front palate the wine was ripe and full bodied, with wood well to the back, giving underpinning structure. There was a lively crispness at the end and a lick of wood tannins on the long finish. A nicely balanced serious wine! If you are still wrestling with the closure argument between cork and screwcap, do try to catch up as the debate has moved on to bottles versus other containers. 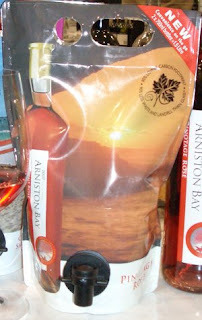 Bag-in-box wines have been with us for decades, as have cans and Tetra-paks, and now ‘the company of wine people’ have a new packaging concept for their Arniston Bay brand that is really good looking. It is effectively a ‘bag-in-a box’ – without the box. The 1.5 litre container – called an ‘e-pouch’ – have a comfortable carrying handle, weigh about a kilo less than the equivalent amount of wine in two 750ml glass bottles, and are cheaper too. There is a tap for pouring a glass when needed, and the wine should remain fresh in the container for a month after unsealing the tap. And when finished, it folds flat taking almost no space in rubbish. What is really impressive is how the pouch, thanks to its clever design, stands easily upright on its own. And they are about to release a 250ml serving bag, (pictured left) the equivalent of two normal glasses or one large pub-sized glass. This will be ideal for taking to events where glass is not allowed, walking, camping or other such activity where weight and breakages (and corkscrews) are a concern. I was enthused by the packaging, but what about the contents? They are the same wines as currently available in glass bottles. The only Pinotage available for me to taste was the Rose 2007 which is semi-sweet (4-5grams residual sugar) with a boiled sweet flavour which suits the market it is aimed at . I think this packaging is a real cracker – and initial reports from UK supermarket chain Morrisons, who are trialling it, show that sales are exceeding expectation. I’ll be purchasing some of those smart 250ml e-pouches when I see some red Pinotage in them. The e-pouch ('e' for ethical and ecological) was developed in South Africa and is made from three multiple protective layers to contribute to the aesthetic qualities, strength and permeability. It is said to have an 80% lower carbon footprint than two glass bottles and make 90% less waste and less landfill than two glass bottles. “As a black woman I am writing history for my children”, says Thembi Tobie, whose Imvula brand is entering its second year. Imvula means ‘rain’ -- which equates to wealth and good health in the Xhosa language -- and Thembi is blazing a trail for her children to benefit from. “This is the dawn of a new era for us black people in the wine industry,” she told me. While she hopes everyone will enjoy her easy drinking wines, she is focusing on encouraging new wine drinkers in the black community by holding tastings. “These are everyday entry level wines,” she says. 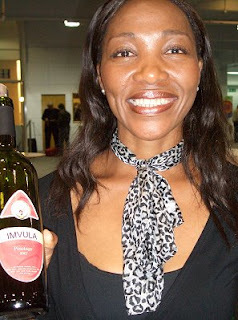 Thembi has the wines made to her specifications by Wellington Cellars, and her Imvula Pinotage has a friendly 13% alcohol. It is a soft, light fruit driven wine. Maybe not a lot of complexity, but it is certainly pleasurable drinking. 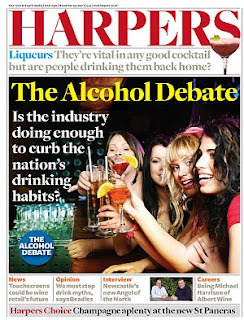 Which is exactly what new (and many not so new) wine drinkers are looking for. Five Pinotages won the coveted Veritas Double Gold – the highest award at the South African National Wine Show (SANW) 2007. Veritas is the country’s longest running wine show and aims to recognise wines of exceptional quality. The Sauvignon Blanc category won the most with seven Double Golds, followed by Pinotage, Merlot, Shiraz and Muscadel all with five. It is pleasing to see that Pinotage is holding its own with other cultivars, especially Shiraz which some prophesied would sweep Pinotage away and which had the most entries with 220 wines out of a total 1,904 wines competing. Full results are online at http://www.veritas.co.za/. Mellasat owner/winemaker Stephen Richardson (pictured right) tells me that he is about to launch a white Pinotage under the name Blanc de Noirs (white from black). This will be the first commercially released white Pinotage - as far as I know. What does it taste like? It is quite clear - there's no trace of pink. It offers a crisp dry nose and palate with a refreshing finish and a bit of floral fullness in the mid-palate and tasting it blind I took it for a dry Chenin. Stephen says that he blended in 15% of Chenin Blanc to round the wine out. It is the style of white wine that I enjoy -- but I can't help remembering that Mellasat used to make a pretty good red Pinotage ... and I think I prefer my Pinno red. Pinotage guru Beyers Truter flew into London on Tuesday 9 October to present a packed Pinotage master class at the Restaurant Show. He gave a brief history of the variety and admitted that it had suffered in the past from technical faults, including being over-oaked and over-alcoholised. 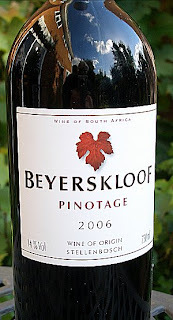 Beyer's opinion is that the correct Pinotage style is 'classic-balance', and noted that it would age in bottle for many years, and he was currently enjoying wines from 1972 and 1974 that have excellent balance. He remarked on the versatility of the variety, including its suitability to make 'Port' because of the high alcohol levels it can achieve, and how rosé wines benefit from Pinotage's up-front fruit flavours. Beyers suggesting drinking his Beyerskloof rosé at 12° C with oysters and he said he preferred drinking it after aging for 2-3 years. Next week London sees the South African European Mega-Tasting. This is the second Mega, which is intended to replace a multitude of tasting events throught Europe. The idea is that London is easily accessible from anywhere, and is easier and cheaper and quicker to travel to than Cape Town. More than250 producers are expected to exhibit and it is thought that the event is probably the single biggest national generic wine event held off-shore by a wine-producing country. The show is on Monday and Tuesday 8 & 9 October and although aimed at the trade, will be open to the public on Monday evening from 6 - 8pm. See http://www.winesofsa.com/ for ticket information. Jack Berninger writing in the Richmond Times-Despatch (15/08/2007) asked four Virginia winemakers about their favourite wines. At Grayhaven Winery he met Chuck Peple the owner-winemaker "in this family-run business that has been making wine for 12 years." "Grayhaven's Pinotage is a spicy, peppery, full-bodied red with strong cherry notes balanced by the earthy American and French oak barrels used to age this 2005 vintage. The current Pinotage release is technically a dessert wine, not sweet, but boasts a hearty 16 percent alcohol, making it a great sipping wine or after-dinner treat." with Rijks claiming the Pinotage Trophy. South African Winemakers Louis Nel and David Trafford “slated the country’s signature grape Pinotage” according to Harpers magazine (21/09). Call me biased, but I reckon you could change the word Pinotage for Pinot Noir in David Trafford’s statement and it would be just as valid. Articles about Pinotage all too often tell of the group of British Masters of Wine who visited South Africa in 1976 and, comparing Pinotage’s taste to "rusty nails", declared that the variety had no future. In that group was Julian Brind MW (pictured right) , until recently head wine buyer for the UK Waitrose supermarket chain. Thirty-one years later he again tasted Pinotage in South Africa, this time as a judge at the Pinotage Top 10 Competition. Interviewed after the judging, Julian remarked that most of the wines in the competition were of an exceptionally high quality based on international standards, and it was almost impossible to select only the top ten wines. "I think the rest of the world must discover these wines and South Africans must be very proud of it,” he said. “The balance of fruit, elegance and good integration of tannins is an indication of the talent of South Africa's viticulturists and winemakers. They made it very difficult for us to select only the top ten." Fellow judge South African Dave Hughes emphasised the combination of quality and diversity. 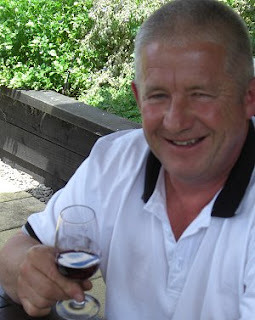 "People think there is only one kind of Pinotage, but the variety of styles makes it a real tasting experience, but every wine still is a Pinotage,” he stated. “A few years ago, it was my opinion that you could only select the top five to seven out of all the entries, now it is difficult to select the top fifteen. The quality and fine balance of the wines improve year after year." The results of the 2007 Absa Top 10 Pinotage Competition will be announced on 31 October at the Arrabella Sheraton Hotel in Cape Town. Immediate impressions are of a soft approachable and fruit forward wine. But underneath the upfront juicy berry flavours is a grippy structure. There's a pleasing combination of sweet leather and soft oak tannins. This is a spicily enjoyable drink, both powerful and complex wine that shows more facets over time. Spice Route is part of Charles Back's Fairview family. The winery is located in Swartland and winemaker Charl du Plessis joined Spice Route from Rijk's in Tulbagh. This 2003 wine was a Pinotage Top 10 winner in 2004 and was a second win for Charl in that competition since the wine he made two years previously in Tulbagh - the 2001 Rijk's ( reviewed here) - was also a winner. Congratulations to both Spier and Nederburg on winning Gold medals at MUNDUSvini International Wine Awards for their Spier 'Private Collection' Pinotage 2005 and Nederburg 'Classic' Pinotage 2005. This international competition held in Germany is said to be the largest officially recognised wine competition in the world; 4495 wines were entered this year, of which 429 were awarded gold. Medals are limited no more than one third of wines entered. Nederburg's marketing manager Misti Watson said “Germany is our next biggest market, where sales have continued to climb, despite the fierce competition from New World and Old World producers. When international competition results largely concur with those on domestic events, we believe it shows Nederburg’s capacity to create pleasing wines that transcend geographic boundaries. Daniel himself is not a fan of the variety, calling it an "odd cross" of which he's "tasted very few that I'd want to drink" . Wine Blogging Wednesday is a web institution in which people around the world blog on a theme. For the 37th WBW on 12 September, which is hosted by Dr Vino, the subject is “go native” with an indigenous grape variety. Pinotage -- pronounced 'pinno-targe' -- is the local red variety of South Africa, having been developed there eighty years ago. It is a variety used to make wines in all styles, including sparkling, pink and fortified. But the best expression of the variety is in serious red wines. Since Pinotage is a fairly recent variety, and because there is no old world model to measure it against, wine makers have been interpreting the variety in several styles. My take is that Pinotage’s taste profile should be found within the oenological region bounded by the southern Rhone, northern Italian red and Californian Zinfandel. There should be the rich spicinessof Zin and warm depth of Syrah with a twist of the gamey kick of Italian reds. Plus, a lush sweet mouthfeel that is uniquely Pinotage. For WBW I am tasting two Pinotages. First is a mature wine from the 2001 vintage. This vintage is sold out now at the winery but you may still find it in a specialist shop. The second you should be able to find inexpensively almost anywhere. The nose is closed, not offering much at all, and it feels quite firm on the front palate. But first impressions are deceptive because this wine soon opens in the glass to offer yummy blackberry fruit with a pleasing sweet uplift on the finish. There’s some acidity also, and integrated oak (40% new French oak barrels) is working its creamy magic behind the scenes. It has 14.5% abv but feels light and refreshing, making it an ideal food wine. Rijk’s – pronounced ‘rakes’ – was created by the Dorrington family in the Tulbagh valley and named in honour of Rijk Tulbagh, governor of the Cape from 1751 to 1771, who gave his name to the town and valley. Rijk’s wines achieved almost instant success from their first bottling in 2000. Their very first Pinotage won Top 10 in 2001 and this Pinotage, from the 2001 vintage was a Top 10 winner in 2004. Although it’s a bit of a drive from Cape Town, I like to visit Rijk’s to enjoy lunch in their open air restaurant shaded under vine leaves and overlooking a lake and vineyards. And, as usual in the Cape, I have a glass or two of cold Chenin Blanc with my food. Rijk’s make stunning Chenins which are not to be missed. Although vines have been grown in Tulbagh for generations, the land bought by Neville Dorrington had never previously been cultivated. The Norringtons started planting vines in 1997 and three years later, when the winery had been built, they produced their first wines and now make about 11,000 cases annually from a variety of cultivars. Beyerskloof winery specialises in Pinotage - the red leaf label is the world's largest selling Pinotage brand - which is no surprise as its winemaking owner, Beyers Truter, championed the variety and is known as the Pinotage King. Although made in huge quantities -- 1.5 million bottles of the 2006 were produced -- quality is maintained and all the grapes are grown only in the premium Stellenbosch region of South Africa. I chilled this wine by putting it in the fridge for half an hour before opening -- which is how they serve it at Beyerskloof. On opening there is an strong fruity bouquet as if the wine can't wait to get into the glass. Well, let's pour it. It has a deep black core with a bright purple red rim, and a powerful fruity taste. This is a gutsy wine -- I often have it to accompany spicy Indian food with which it matches well. There's black fruits, cherry and plums, some blackcurrant leaf and a lick of leather on the back palate. Somewhere I'm also getting black olive tapenade. This wine is so yummy I keep drinking for the sheer pleasure rather than analyzing. No matter, lets pour another glass. What do you mean 'the bottle is empty'? Owner winemaker Beyers Truter is a man with boundless energy. Now a young 50 year old, he was a rugby-player in his youth before being appointed winemaker at Kanonkop Estate where he championed and elevated the Pinotage variety, along the way being named International Winemaker of the year at the 1991 Wine & Spirit Competition held in London. He is the only winemaker ever to twice receive the Pichon Longueville Comtesse de la Lalande trophy for the best blended red wine at the International Wine and Spirit Competition in London. That was in 1994 and 1999. He founded his own Beyerskloof winery in 1998 on a property owned until 1895 by five generations of ancestors and so he became the sixth generation to farm this particular land. Beyers Truter is active in the Church and in politics (he has stood for the ANC and founded a farmers political party) and his latest venture is the ‘Faith Fund’ charity focusing on Foetal Alcohol Syndrome. This year at Beyerskloof he extended the cellars and opened the instantly popular ‘Red Leaf’ restaurant featuring dishes cooked in and with Pinotage -- my favourite being the Pinotage Burger. KWV today launched a new Pinotage under the brand Café Culture – and the name suggests they are aiming at the market for coffee-toned Pinotages pioneered by Diemersfontein with its cult ‘coffee & chocolate’ Pinotage. Not that KWV is using the ‘c’ word – oh dear me no – please note that it is ‘mocha’. The 2007 vintage wine (although the bottle image on the KWV site says 2006 – I wonder what happened to that wine) was harvested and underwent wood maturation (where it presumably picked up its coffee mocha flavours from the toasted oak) for 3 months before being blended and bottled July 2007. It has a hefty 14% abv and is recommended for drinking on its own or as an accompaniment to meat and pasta dishes as well as chocolate and berry desserts. I like to think of myself as ‘trendy’ and ‘upmarket’ (I’m not so certain about ‘vibrant’ but ‘decadent’ probably fits) and so I look forward to tasting it…..